Chef Andrae Bopp, honors graduate of the French Culinary Institute in New York City, is currently the owner and chef of Andrae’s Kitchen located in Walla Walla, Washington. Andrae was one of the first “Food Truck Chefs” on the West Coast and was voted the Nation’s Best Food Truck of the Year in 2016. 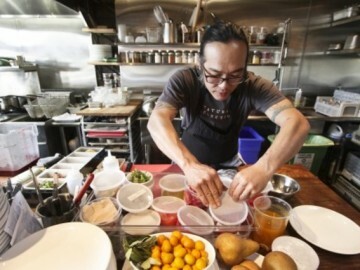 Keeping it local is Andrae’s style, and simplicity reigns supreme in his food. 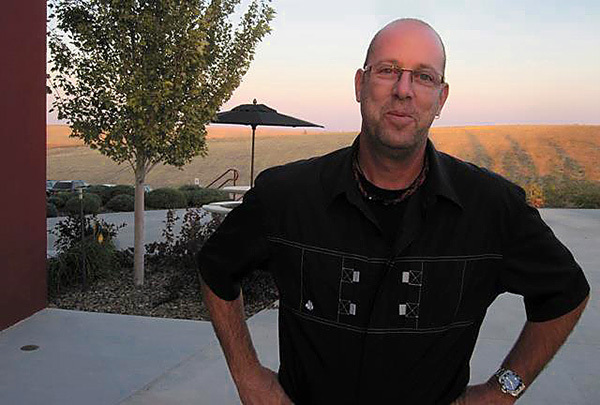 Idaho’s own Ste Chapelle wines will be represented to pair perfectly with Chef Aaron’s locally-sourced cuisine. Since 1975, they have been making fine wines using grapes planted among the sweeping orchards of southwestern Idaho in the Snake River Valley. Ste Chapelle has grown to become the largest winery in Idaho, and a hometown favorite! Hells Canyon, home of the mighty Snake River, is the deepest gorge in North America. 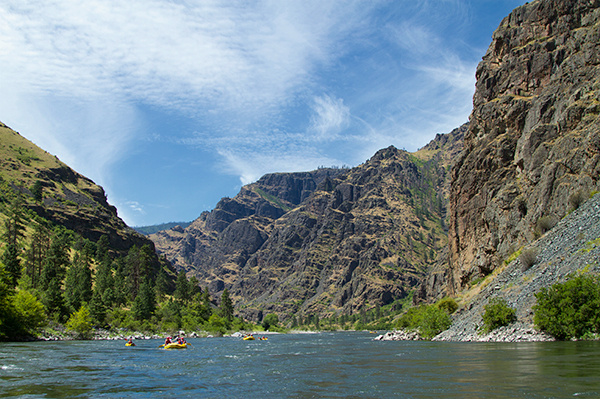 Marking the border between Idaho and Oregon, Hells Canyon plunges to depths of nearly 8,000 feet between the Seven Devils range to the east and Oregon’s rim country to the west. 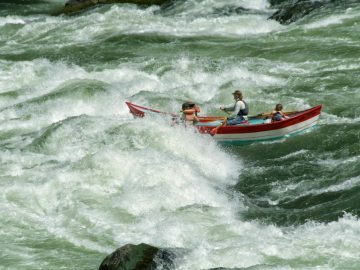 Through this tremendous gorge, the warm, clear waters of the Wild & Scenic Snake River thunder through some of the most exciting, big-wave rapids in the Northwest; in calmer sections, the Snake serves up great fishing and wildlife viewing opportunities. 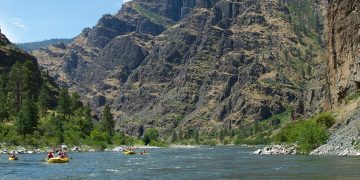 Hells Canyon’s watery bliss is matched by its stunning rockscapes and the intriguing remnants of past inhabitants, both indigenous and transplanted, creating a rich river adventure that’s hard to beat. In addition to the canyon scenery and whitewater there are a number of interesting places we may visit along the way. 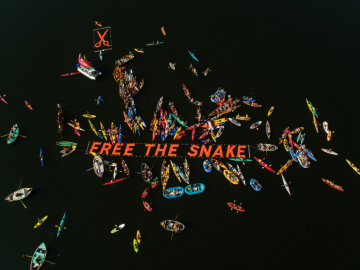 The Native Americans who once called this place home left remnants of their dwellings as well as many interesting pictographs depicting their lives. There are also historic homesteads along the river like McGaffee Cabin—a homestead preserved from the early 1900s and Kirkwood Historic Ranch and Museum.